What is personality? It is something that people often refer to and describe casually, but most people are not aware that there is an entire field of study dedicated to personality psychology. Personality can be difficult to define, but it is loosely based on a particular pattern of thoughts, feelings, social interactions, and behaviors that are influenced by reflection, other people, stress, and environment. One of the most popular branches in the field of psychology, personality psychology attempts to understand and define traits and variations within the individual, how these characteristics develop, and how these traits change in different environments and over time. 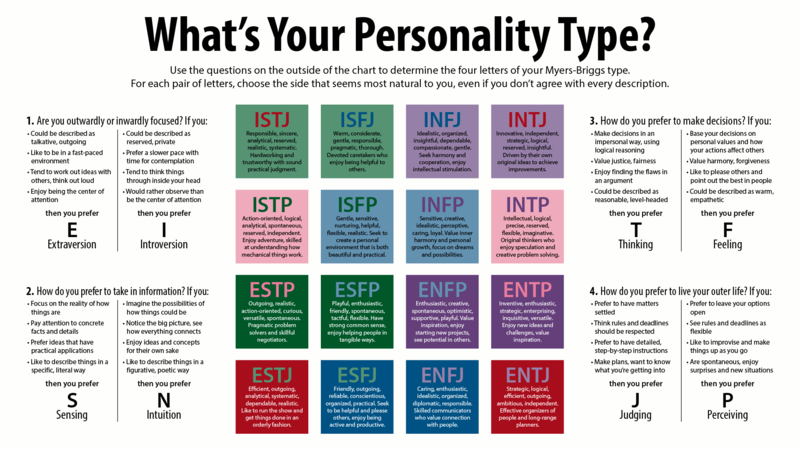 Myers-Briggs Type Indicator (MBTI) personality test is a self-report questionnaire that was based on the personality theories of Carl Jung. Katharine Cook Briggs and her daughter Isabel Briggs Myers were the creators of the MBTI personality test after they spent twenty years observing different personality types as theorized by Jung. Jung developed theories about the innate differences in how people process information and make decisions. His theory was based on two perceiving functions, including sensation and intuition, as well as two judging functions, including thinking and feeling. Those who process information primarily through sensing are more sensory-oriented and fact-based, while those who process information through intuition are more abstract and imaginal. His theory also included two primary different types of attitude, one known as extroversion and the other as introversion. These different qualities, particularly introversion and extroversion exist on a continuum with many people in the middle. The 16 personality types provide information about your preferences. For example, extroverts learn best by talking and interacting with others, while introverts prefer quiet, reflection, and privacy to learn. Sensing types learn best through learning about the material in a detailed, logical manner, while intuitive types prefer learning through insight, pattern recognition, and making associations. Thinking types desire to learn about objective truth and use logic and deductive reasoning while feeling types consider people's motives and personalize issues and causes. Lastly, judging types have a structured approach to the world, while perceiving types are more open to change. Differences in aspects of personality and human interaction are overwhelmingly overlooked in different settings such as school, employment, social settings, and even within the home. Some environments may encourage and even reward different personality characteristics. For example, overall, most institutions in the U.S., encourage and reward certain personality traits, such as high extroversion, sensation, and judging personality characteristics. However, there are specific professions and environments that value and foster those opposing traits of introversion, intuition, and feeling. Many of us try to mold our personalities to the values held by the dominant culture, society, or environment. 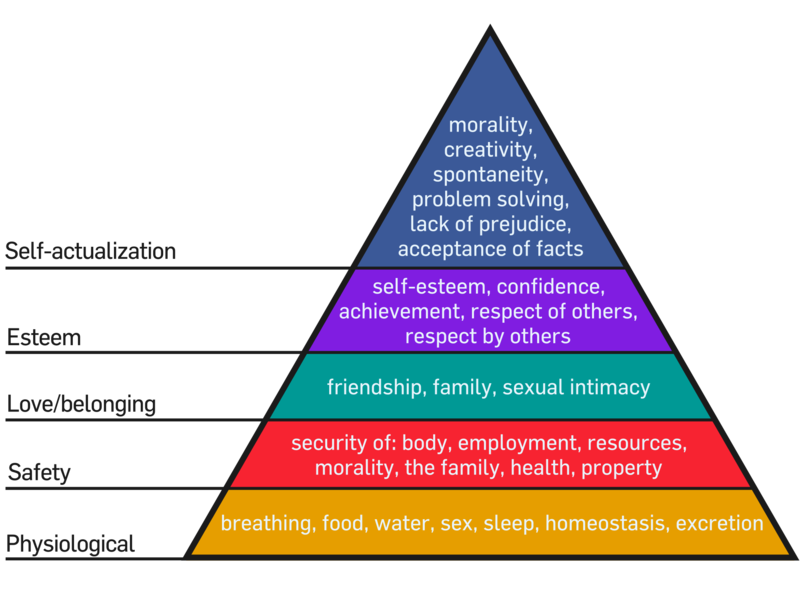 However, you can find a greater sense of belonging, self-esteem, and self-actualization, if you acknowledge your own unique personality traits and searchers for people, environments, and careers that support those traits. Additionally, recognizing that others may be attuned to a certain way of processing or communicating can help you to better adapt and harmoniously work together. Overall, knowing about your personality type can you identify your own needs and seek out ideal environments to express these traits. 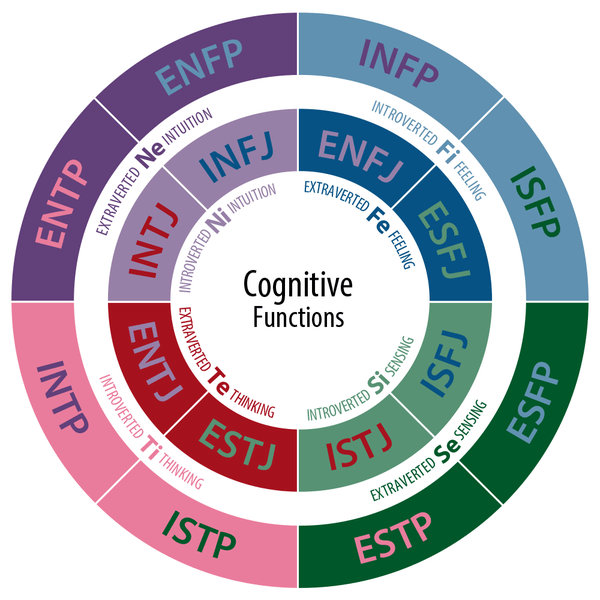 The Myers-Briggs Type Indicator personality test is a test formulated with extensive research, essentially breaking up the human population into sixteen different types with four different variables on a spectrum. There are many free websites online where you can take the test and read about your personality type. 16Personalities is one free website with descriptive profiles for each of the sixteen types. This website summarizes personality strengths and weaknesses, relationships, careers, workplace habits, and more. This analysis of personality can help you get clearer about what your core values are, what motivates you, and environments that allow you to fully express yourself. Knowing more about your own personality type can be a great way to take inventory of the different aspects of your life and identify areas for improvement. However, it is noted that people are often the best judge of their own type. While the test provides a match of your type based upon your answers, there is also a "best fit" process, where individuals learn about the four dichotomies and form their own hypothesis about their actual type. In about 20% of cases, one's own hypothesis differs from their reported types. Reading about other types can help you determine if your reported type is accurate. It should also be recognized that personality type can change over time or throughout one's life. The more you learn, the deeper you can venture into self-discovery, finding out what makes you feel fulfilled and working towards improving and advancing your communication skills and satisfaction in life. Knowing your strengths and weaknesses can also help you identify areas of potential improvement in your life. While each person is completely unique, many of us share common elements and patterns of processing information, interacting with others, and communicating that can be documented, analyzed, and understood. By gaining greater clarity and understanding about your own values, communication style, you can begin to work towards fully utilizing and expressing these traits in a constructive way. Speaking with a professional counselor, who can discuss your results in detail can help you move towards a greater degree of self-actualization. This knowledge can also be used to create an individualize your treatment plan and help you identify goals. This, in turn, can help positively impact your relationships, friendships, career, and self-esteem. Betterhelp is an online counseling platform that connects clients with a licensed counselor. The Four Goals Of Psychology: What Are They?